Colombia’s President Ivan Duque and United Nations chief Antonio Guterres on Monday agreed to set up a fund to help Colombia and other neighboring countries deal with displaced Venezuelans. The president and the UN Secretary-General met in private at the UN’s annual gathering of world leaders to discuss how to deal with one of the Americas’ biggest challenges – the ongoing humanitarian disaster in neighboring Venezuela and the mass exodus of citizens of that country. Duque had asked for the creation of such fund to help Colombia and other neighboring countries deal with the growing number of Venezuelans arriving in their country, often with no job prospects or even food. As Venezuela is gripped in a crisis of food and medicine shortages due to hyperinflation, tens of thousands are crossing the border into Colombia every day. Thousands without official documentation end up staying in Colombia, putting strain on the country’s resources. The Colombian government said in June that over one million Venezuelans had come to the country in 14 months. 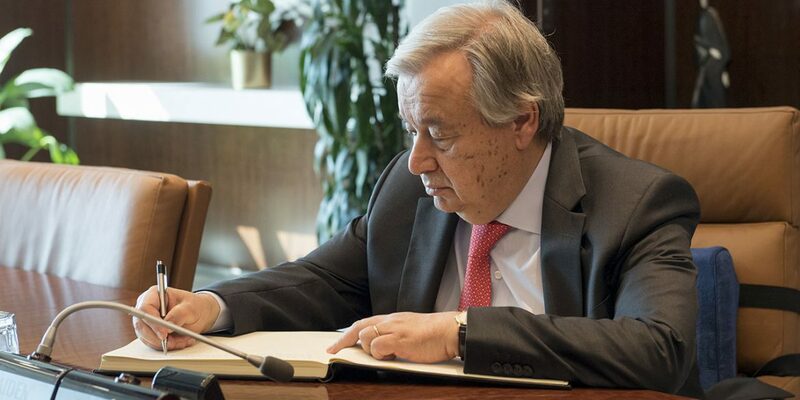 Guterres reportedly praised the work Colombia had done in receiving migrants and said he would support Duque’s initiative for a humanitarian fund. Duque and Guterres also spoke about the ongoing peace process and the importance of the FARC‘s reintegration into civilian life. Before Duque arrived in Colombia, he spoke with the UN’s chief, who urged him to continue talks with the country’s last standing rebel group, the ELN.